Here’s a common scenario. You go on a service call, put your gauges on a condensing unit, and find that the suction pressure is low. What do you do? In too many cases, the answer is “add refrigerant.” But doesn’t it seem like a good idea to confirm that low refrigerant is the problem before you start adding refrigerant? That’s why checking superheat and subcooling is so important. Let’s go back to the beginning. You go on a service call and find low suction pressure. However, this time you consider the three main causes of low suction pressure, and check superheat and subcooling to make the correct diagnosis. Checking superheat will indicate if the low suction is caused by insufficient heat getting to the evaporator. 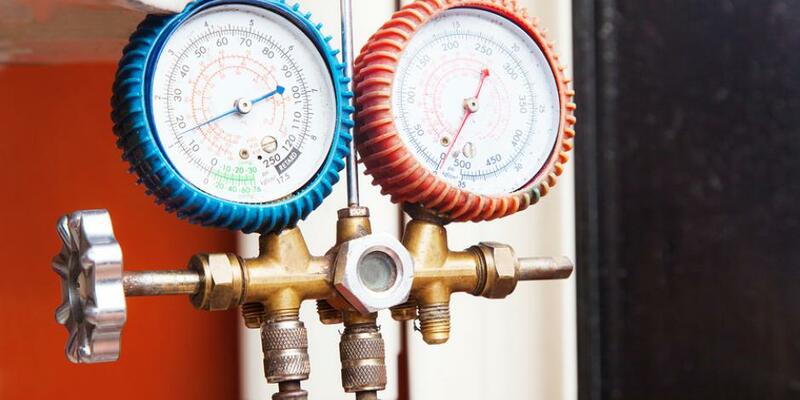 To check superheat, attach a thermometer designed to take pipe temperature to the suction line. Don’t use an infrared thermometer for this task. Then take the suction pressure and convert it to temperature on a temperature/pressure chart. Subtract the two numbers to get superheat. For example, 68 psi suction pressure on a R-22 system converts to 40F. Let’s say the suction line temperature is 50F. Subtracting the two numbers gives us 10F of superheat. Superheat for most systems should be approximately 10F measured at the evaporator; 20F to 25F near the compressor. Let’s say a system has 45 psi suction pressure (converts to 22F) and 68F suction line temperature, the superheat is 46F (68 minus 22). This indicates low refrigerant in the evaporator. 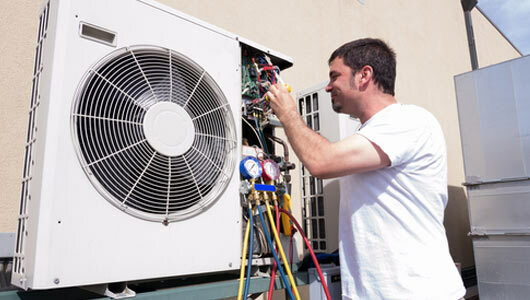 However, before adding refrigerant, check the subcooling to be sure the problem isn’t caused by a defective, plugged, or undersized metering device. Subcooling on systems that use a thermostatic expansion valve (TXV) should be approximately 10F to 18F. Higher subcooling indicates excess refrigerant backing up in the condenser. On TXV systems with high superheat, be sure to check the subcooling as refrigerant is added. If the superheat doesn’t change, and the subcooling increases, the problem is with the metering device. In the case of a TXV, it’s likely that the powerhead needs to be replaced. Keep in mind that subcooling won’t increase on systems with a liquid line receiver, as extra liquid will fill the receiver instead of backing up in the condenser. Receivers are rare on air conditioning systems, but very common on small refrigeration systems such as walk-in coolers and freezers. If a system with a receiver has high superheat and the liquid line sight glass is full of liquid (no bubbles), check the metering device. If the sight glass has bubbles, the system could be low on refrigerant, or the liquid line filter/dryer could be plugged. Your clue here is that a noticeable temperature drop across a liquid line filter/dryer indicates it’s plugged. Yes, it’s true! There are indeed some cases where low suction pressure is going to be caused by low refrigerant. If the superheat is high and the subcooling is low, the refrigerant charge is probably low. Just keep in mind two things here: first, find and fix the leak. Second, monitor both superheat and subcooling as you add the refrigerant, to prevent overcharging. Keep these causes in mind, to control all HVAC metrics. Contact us! Comfort Tech can help!